New chips for smartphones, laptops and high-resolution displays. Arm has just announced new chips that will make your smartphones, as well as your laptops, faster and more energy efficient. These few new chips in question are called Cortex-A76 CPU, Mali-G76 GPU and Mali-V76 video processor, designed for high-res displays. A76 aims to replace last year’s star, the A75, while the G76 aims to pick up where G72 left off. The V76 replaces both V52 and V61 as the new high-end option. Even though the names might suggest a smaller upgrade from last year’s products, these new chips are actually quite the leap. Laptops will be (as it is advertised) 200 per cent more powerful compared to those run by Cortex-A73. Machine learning applications will get a 400 per cent boost, with the help of the optimized dot product instructions. And when it comes to saving energy, Arm claims the news chips are 40 per cent more efficient. A76 has been designed in a way that a single core can run flat out indefinitely, meaning more consistent performance in more demanding situations. Mali-V76 is designed for high resolution displays. It should bode well with 8k60 decode and 8k30 encode, as well as multiple 4K and 1080p streams for video walls. 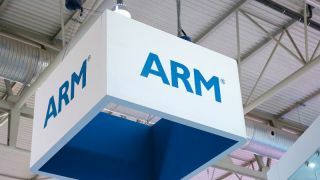 Arm is saying the new offering should be roughly double the power of Mali-V61. Its core use should be high-end TVs, as well as augmented reality and virtual reality headsets.